Nothing can push a man to heights like a commitment to discipline. It shapes his hours, his thoughts, and the very direction of his soul. There are absolutely no obstacles that can withstand the assault of a disciplined life. History is filled with men and women who had lesser gifts and talents but through their commitment to discipline they climbed far beyond those who had great gifts. Don’t lament what you don’t have outwardly but see what is budding inside of your soul that can have a harvest if it finds a blessed discipline. I believe wealth, talents, personal gifts, and even good looks have ruined more than a few who thought they could get by on them without any effort at harnessing their whims, moods, and habits. 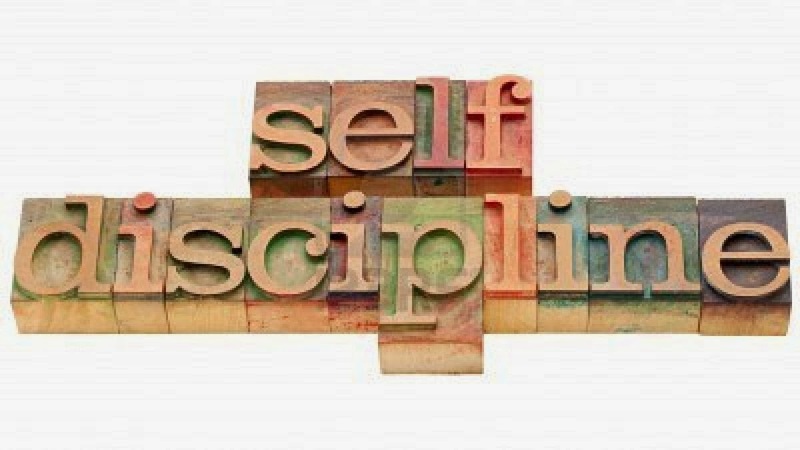 Discipline will help you to push beyond the certain coming calamities of life that will do their best to take us by the throat and choke out our faith and our hope. O God, I don’t won’t talent but grant me by Your grace that hearty and full-orbed blessing of discipline! I am presently in the midst of doing a series of blogs that is encouraging the continuing education aspect of the minister. This next resource is one that I have immensely benefited from. I am not sure how I found it but the content is actually a seminary level class that on the mechanics of preaching. It has almost 15 hours of classroom instruction by Steven Lawson. I can vouch for the content as I have worked through more than half of the lectures and used them as if I were in the classroom. There are aspects of homiletics with an emphasis on expository preaching in these lectures. Lawson also gives several examples of how to work through a passage and then shows the actual sermon notes he used to preach from. 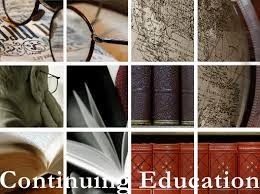 I am working on a series of blog posts that deal with the necessity of continuing education for ministers. The first post was along the lines of the necessity of and reason for continuing education. While I believe that prayer and ministry of the Word are the major priorities of the minister most of these resources will be tailored toward areas of helping us to get better with that. I need to always add the necessary disclaimer and say that just because I am pointing to these resources, it does not mean that I am entirely endorsing the content. However, I can say that in my own experience it was reading and studying things I did not agree with that either helped me to shore up my own beliefs or helped me to change according to what the Scriptures were clearly promoting as doctrine. I recently read an article written by R. Albert Mohler, Jr., the president of The Southern Baptist Theological Seminary. 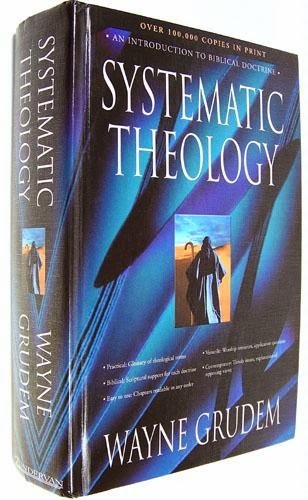 The title was “The Pastor as Theologian” and he noted the great decline in theological acumen when theology was turned into an academic discipline to be taught only in seminaries. “Every pastor is called to be a theologian. This may come as a surprise to some pastors who see theology as an academic discipline taken during seminary rather than as an ongoing and central part of the pastoral calling. Nevertheless, the health of the church depends upon its pastors functioning as faithful theologians—teaching, preaching, defending and applying the great doctrines of the faith.” Mohler made it clear in his article that the pastoral calling meant that we are to give our minds, hearts, and tongues to the great quest of knowing Scripture and then clearly teaching it to those who are under our care (2 Tim. 1:13-14; 2:2; 4:2-4). A pastor is to guard and protect the flock and this calls for a clear and well-defined preaching of the Scriptures. The only way for a man to do this with freshness, clarity, and authority is for him to become immersed in the theology of the Scriptures. I am for continuing education for ministers. Continuing education can do wonders for a sense of personal growth for a pastor, associate pastor, missionary, youth pastor and any other leadership role that one may serve in at the local church level. But for effective continuing education to take place, resources, relationships, and disciplined time management will be paramount among all the other priorities that we have to juggle. 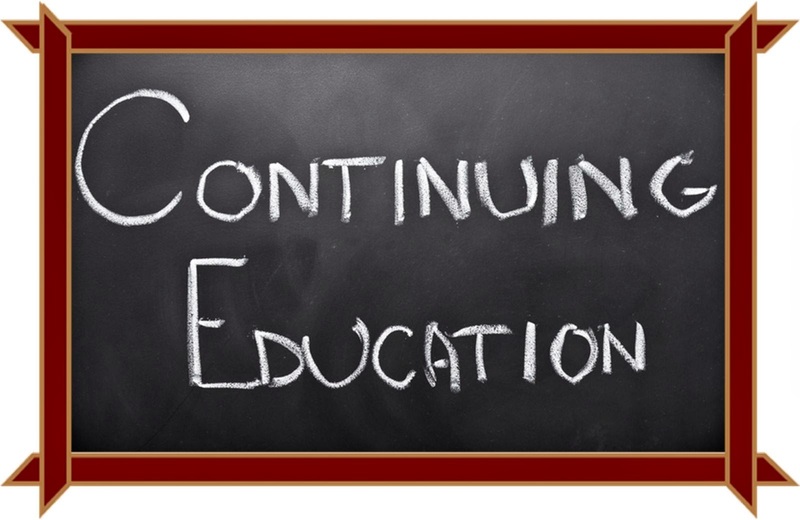 A commitment to continuing education will help the pace of ministry to adjust itself. The ministry is a marathon and far too often the sprinters who start out so rapidly are also among the first to cave in to their spiritual fatigue and unreasonable expectations of what they may have thought their calling was all about. I come to this last best book slot, being #1, of the books I read in 2013 and have found again it to be a very provoking book. I have gone back and scanned through and reviewed much of what I wrote in it back in January 2013. I purchased the book in December 2012 primarily on author recognition. I read a previous book by Steve Gallagher entitled Intoxicatedwith Babylon and found it to be a very good book. 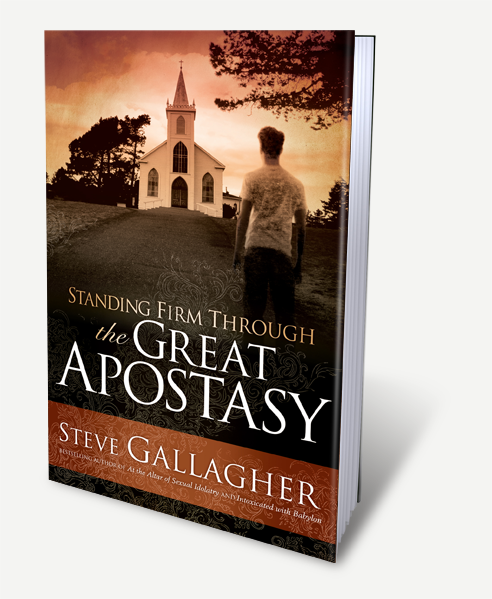 I guessed that would have a pretty good idea of the content that Gallagher would take up with this book Standing Firm Through the Great Apostasy. This is another book that falls into the category of our personal need for revival and a reawakening of the church to its true purpose. As I mentioned in a previous post, books on revival and a true need for true repentance and godly conversion was what I spent the most time with last year. As a pastor, I often have to deal with very ambivalent emotions concerning the state of the church both locally and nationally. There are times that I feel the great lift of faith to believe that there is an ardent devotion to the Lord and to His Word among those who follow the Lord. There are other times when I find myself going into a tailspin at the shallow, uncommitted state that we slop around in. Perhaps nothing like social media reveals the true nature and direction of where and what we are heading toward. Jesus noted that out of the abundance of the heart the mouth speaks and I think with our modern technological wizardry that now we can discover that the abundance of the heart is revealed through what the keyboard types, what the tweets reveal, and what the Instagram pics expose. All of this social media exposure can be terribly disheartening when you began to understand the relentless onslaught of the world, the flesh, and the devil on the church. Visit the profile pages of those who populate Facebook and you see many people who are so immersed in the entertainment venues of Hollywood, the music of Nashville, the insatiable appetite for the fads of Fifth Avenue, and all sorts of troubling distractions that you wonder if there is any hunger for God at all. Some of what Gallagher addresses in the book relates to this. We are at the number two spot in my book reviews of the best books that I read in 2013. This book is one that published in 2010 and I got around to working with it in 2013. 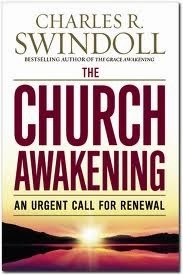 Chuck Swindoll has been around for a long time and the majority of his books are primarily devotional in nature and it is rare that he would take on a subject like this concerning the need for revival in the church. I noticed something about my reading patterns in 2013 and that they were mostly concerned with personal revival and corporate revival among the church. Anyone who is involved in ministry has to understand the reality that when a church is in a state of revival and devotion that things in churches go much smoother. Churches that aren’t experiencing a climate of revival often turn inward and over the course of time will ultimately die. We cannot afford for the local church to collapse even though it is under a very heavy attack both socially and spiritually in our day. On the other hand, it is clear that when a church has well-defined boundaries and encourages its members to have a high input that the Lord can do great things with it. I am continuing to count down the best books that I read in 2013 and now approach the third place. This book could have very easily been tied for the 2nd place but we will put it in this slot. I noticed something about my reading trends in 2013 and that mostly I read things about revival and spiritual renewal. That was not my plan to get necessarily do so, it just sort of unfolded in that way. This book by D. A. Carson is an older book having been published in 1992. However except for a few dated references that Carson makes to the ’80’s and ‘90’s its message is still just as relevant now as it was then. The book coming in at #4 was another one of the $5 books that I purchased at Family Christian back in April. I love books and I especially love good deals on books. Since I had previously read David Platt’s book Radical and was very challenged by it, I thought this book would probably do the same thing. It often does us well to remember the old statement, “You are who you will be now in five years except for the books you read and the people you meet.” The older that you get and the longer the tenure in ministry there can be a tendency to just settle in and put things on cruise control and just enjoy life. My brothers, we ought to push against this kind of attitude! We are here for a purpose and that is to extend the kingdom of God. 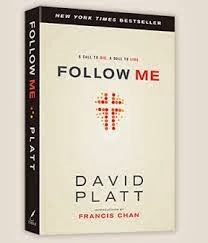 David Platt’s books can make those who are in cruise control become uncomfortable and even defensive. That is why we need books like this! Platt has a unique way of grabbing you by the throat in the very outset of his books. 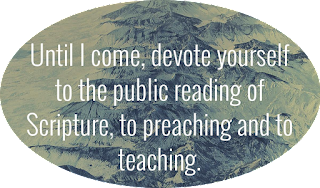 He did this in Radical with his account of preaching overseas and they kept asking him to preach to them even when he had gone through his forty-minute little set of notes. Finally he just opens the Bible and starts working through it. The outcome was a four hour sermon to these people who were meeting secretly. He uses the same method in Follow Me. He opens the book with a story about a Muslim who converted to Christianity and the jeopardy it put her life in because of her conversion. The next book that comes in at the #5 is a book on leadership but it comes at it from a bit of a different angle. 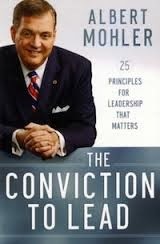 Albert Mohler, president of Southern Seminary in Louisville, Kentucky, believes that all leaders must lead from a formed set of convictions that are unchanging. He writes that leadership is more than just a man filling a role to accomplish a purpose or fulfill a certain task. Also if you are a history buff, Mohler has multiple stories woven throughout the book that helps to illustrate what he is writing about. One notable mention is of Ronald Reagan and how that Mohler actually worked in his 1976 political campaign. This book is written in such a way that you might read through it on an initial run but there are multiple things to be harvested the second time through. I found the book to be one that was begging for a highlighter and penned notes to be placed in the margins. The chapter where he writes about intelligence is very good because he cites a Harvard Business Review study that took into consideration those with a very high IQ. What the study found was that people can have a very high IQ but if there is not an emotional aspect where they are willing to care, make adjustments, and occasionally totally remove a program they thought would work, these people will not survive as a leader. The next book that comes in at the #6 ranking was a book that I again judged it by its cover and then made the purchase. The title in itself gave me pause for consideration but the subtitle will jolt you. Coming in the form of a question, the subtitle is: Will Christianity Have a Funeral or a Future? No matter whether you are in a thriving church, one that is merely maintaining, or one that is in decline, this ought to cause all of us to think. 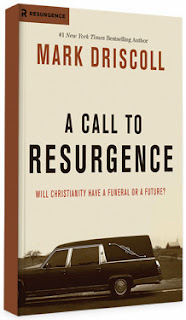 As I think of it now, many of the books that I read this year had to do with the need for revival and the overall decline of Christianity in America. While we can listen to all the cheerleading sessions that we want to, the overall picture in America concerning Christianity at large is very grim. 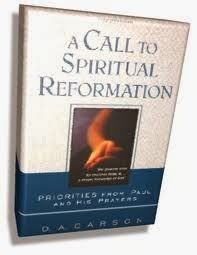 The author of this book is a commonly referred to in the Reformed circles as a brash badboy who needs to grow up. However some of that is related to the area that he hails from. Seattle is one of the most liberal areas of our nation that has become home for legislation that legalized the use of marijuana and has “lawfully” sanctioned homosexual “marriage.” So given that environment, Mark Driscoll, probably has a reason to be as brash and impetuous with his preaching that is sometimes peppered with slang words that would make many of us in the Bible-belt cringe. Coming in at # 7 is another one of the $5 books that I picked up at Family Christian during our District Board meetings in April 2013. 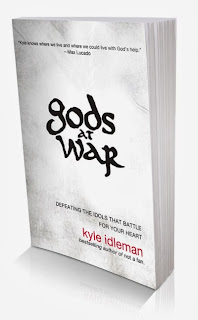 This is another book written by Kyle Idleman called gods At War. This book is very similar to a book written by Bob Hostetler entitled American Idols both of which focus in on cultural and societal issues that are facing the American church. Both of the KI books are quick reads. What I mean by that is he writes in such a way that you can move through them fairly rapidly without having to do a lot of stopping, writing, and pondering. As far as reading goes, I have come to believe that we need to have various streams of depth with our reading. We should read books such as these that don’t take a lot of thought but they still pack a punch. Obviously these kinds of books provide various sermon illustrations that will sting when you use them. On the other hand, I believe that we ought to give our time and attention to reading books that require pausing and thinking and even perhaps writing in a journal/notebook. Books that would fall into this category are going to be systematic theologies, doctrinal works, and Christian biography.